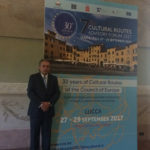 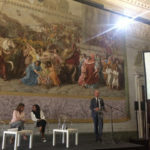 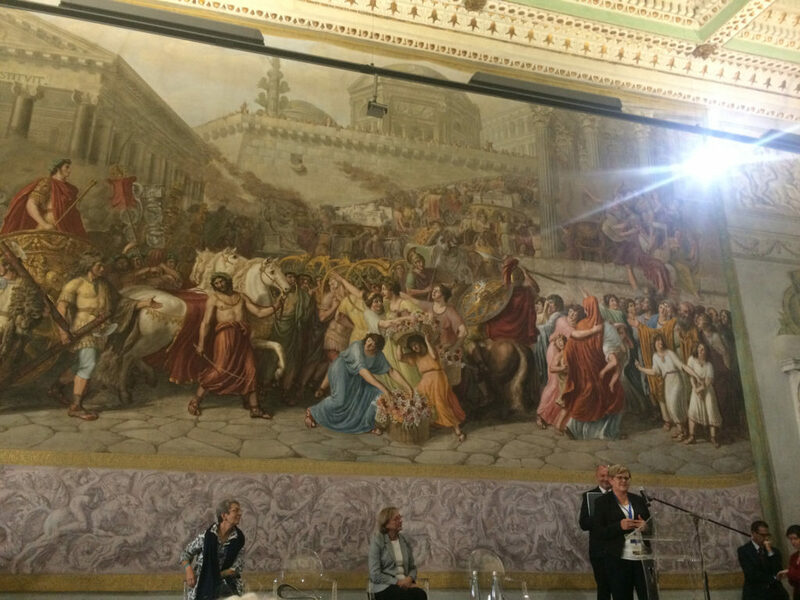 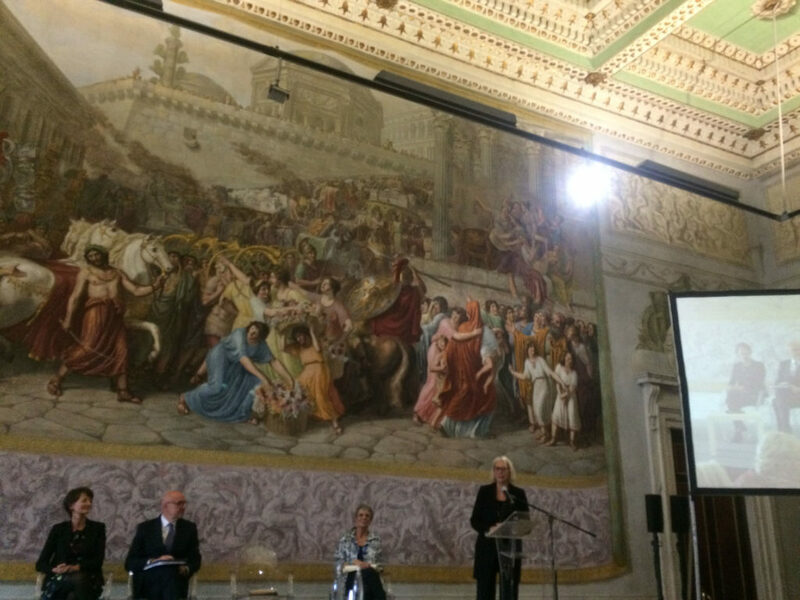 The 30th meeting of the European Cultural Routes took place in the medieval city of Lucca, Italy; it was held on the 27th to the 29th of September and representatives across Europe attended the event at the historic sites of Palazzo Ducale and Real Collegio. 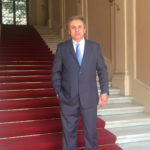 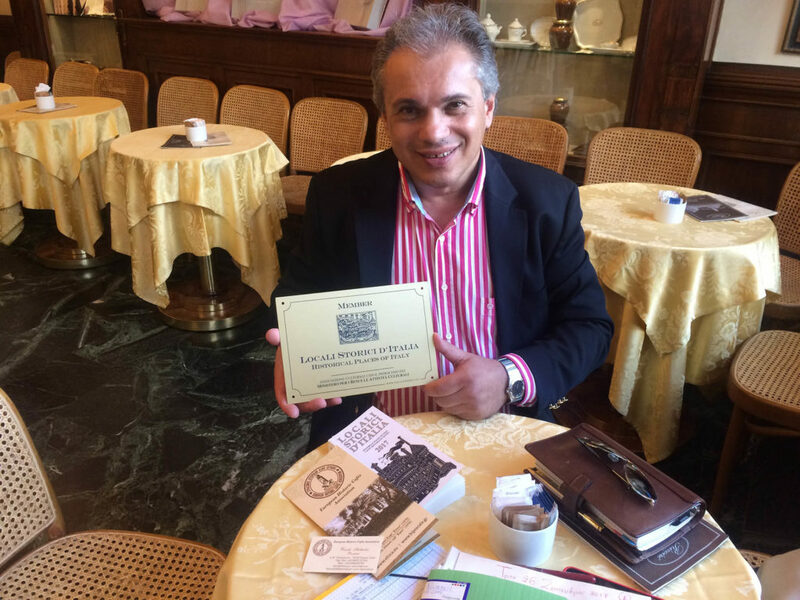 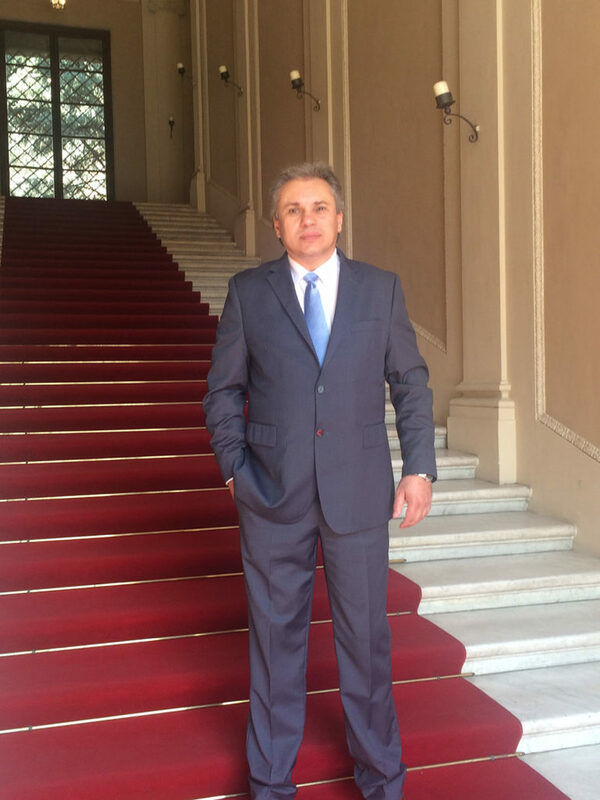 At the forum, the President of the European Historic Cafes Association, Vasilis Stathakis, discussed the initiative of creating a Cultural Route for the “European Historic Cafes”. 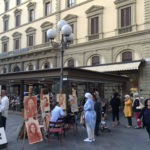 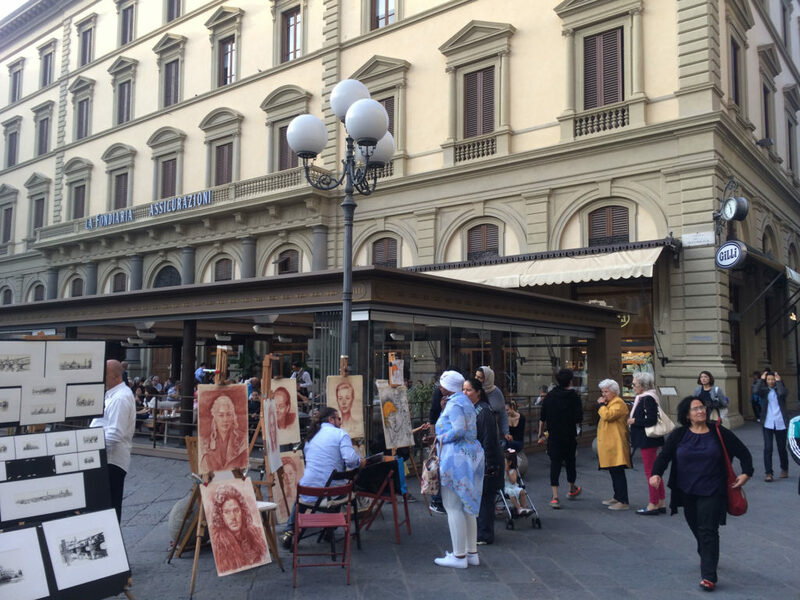 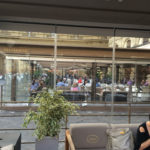 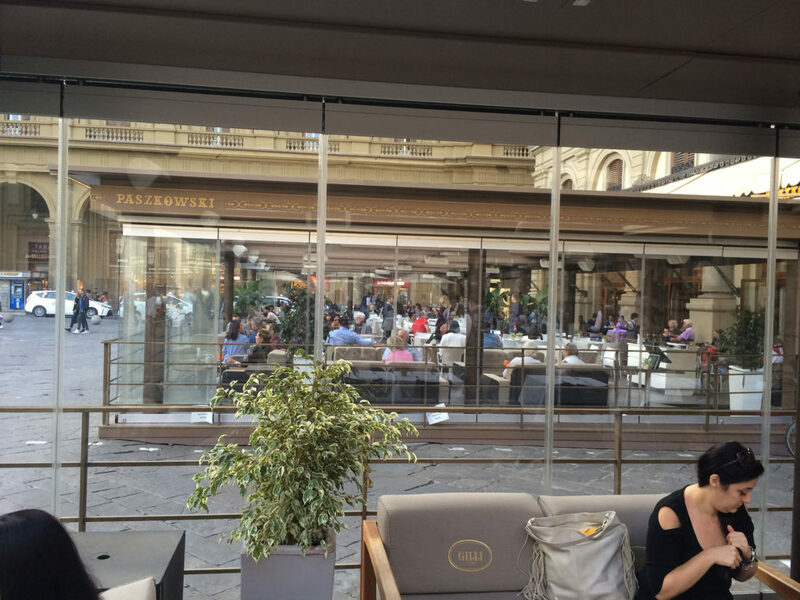 The idea of creating a “chain” with a strong aroma of … coffee that will run through Europe and unite the historical cafes – cultural points of the old continent, fascinated the members which have already expressed interest in participation. 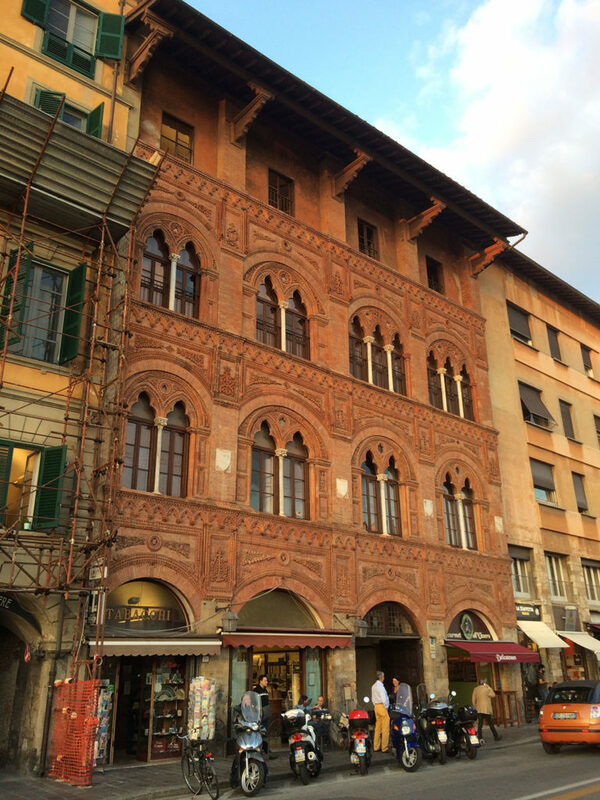 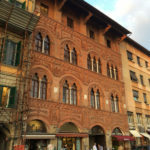 The meaning of Europe’s historic coffee houses – for their unique architecture, philosophy, the personalities they hosted, and the events they organized – always offer enormous study material. 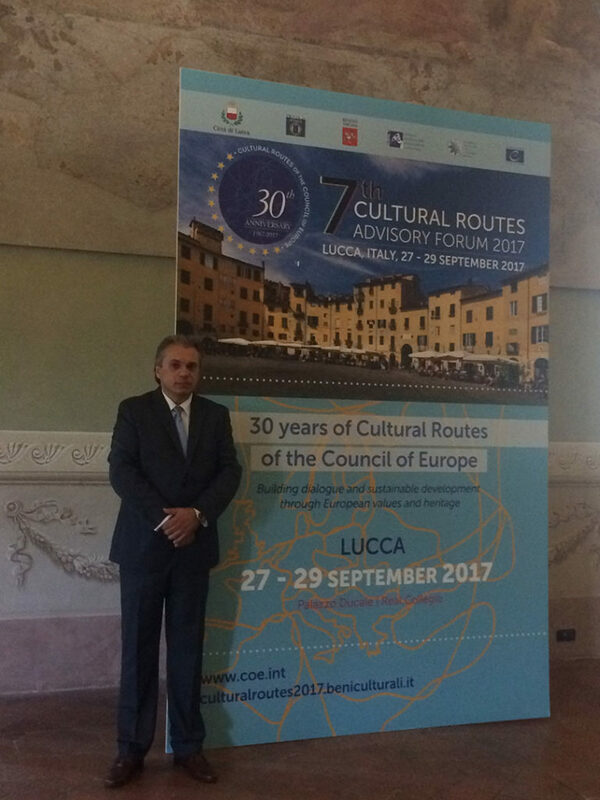 Culture Routes of Europe completed 30 years of continuous operation. 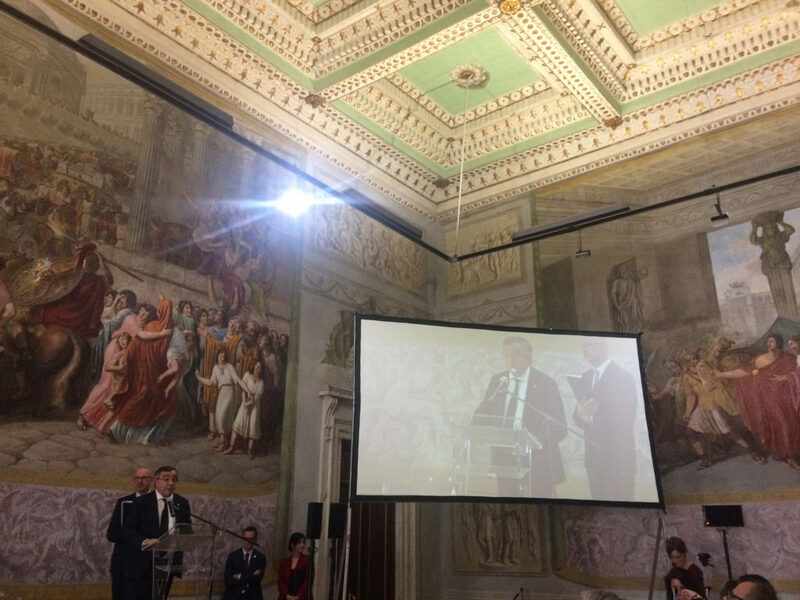 With 31 “Routes” in its assets and more than 40 countries participating, the institution is a key pillar of Europe’s cultural heritage. 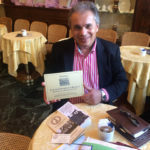 Greece already participates with the Routes of olive and hot springs, but the start of a brand new route starting from Chania, Crete and the historic Café “Kipos”, immediately won the attention of the conference, and representatives from France, Austria, Portugal, Italy, Germany, Romania showed a strong interest in participation. 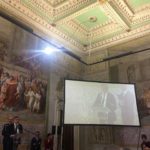 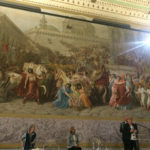 Indeed, both the President, Governing Board, EPA on Cultural Routes, Council of Europe Alfredas Jomantas and the Executive Secretary, EPA on Cultural Routes, Council of Europe, Director, European Institute of Cultural Routes Stefano Dominioni greeted the first talks of the idea with enthusiasm. 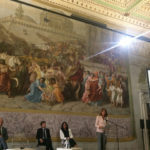 The objectives of the conference, which is taking place every year in a different city of Europe, is to discuss the goals, the achievements, the ideas, but also the problems that a “route” might face. 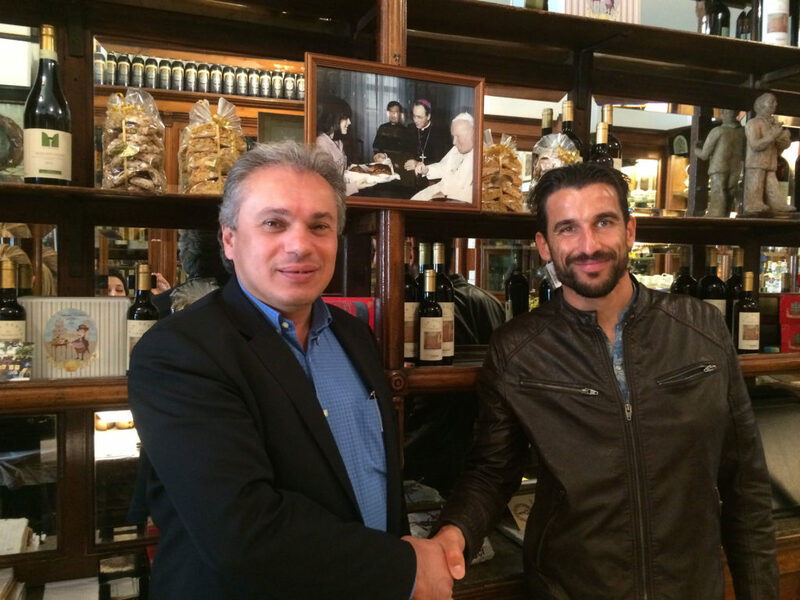 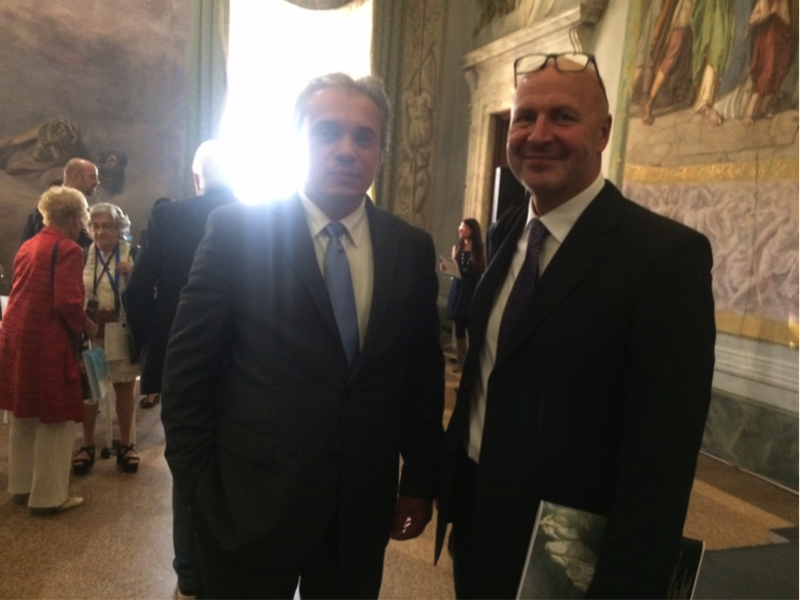 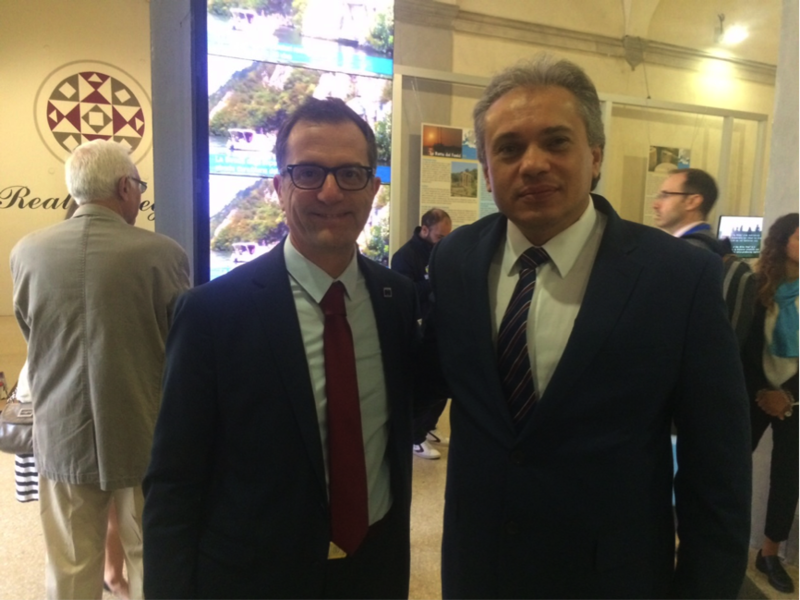 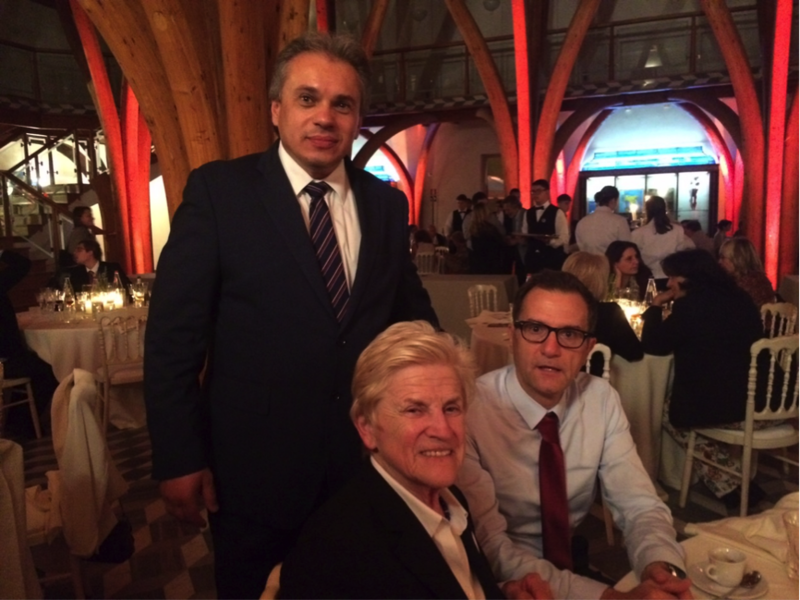 The Executive Secretary, EPA on Cultural Routes, Council of Europe, Director, European Institute of Cultural Routes Stefano Dominioni with the President of the European Historic Cafes Association, Vasilis Stathakis. 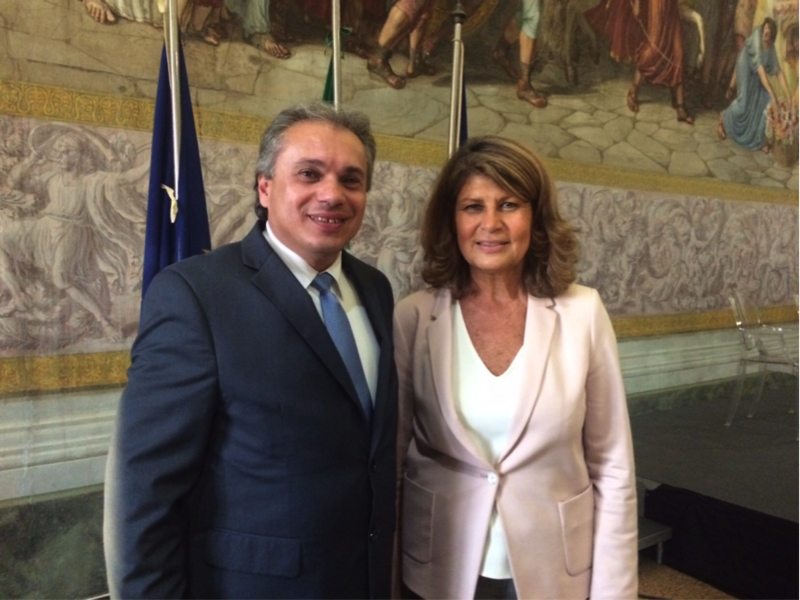 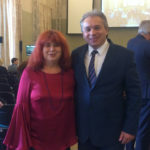 Silvia Costa, Member of the European Parliament, Former President of the Committee on Culture and Education with the President of the European Historic Cafes Association, Vasilis Stathakis. 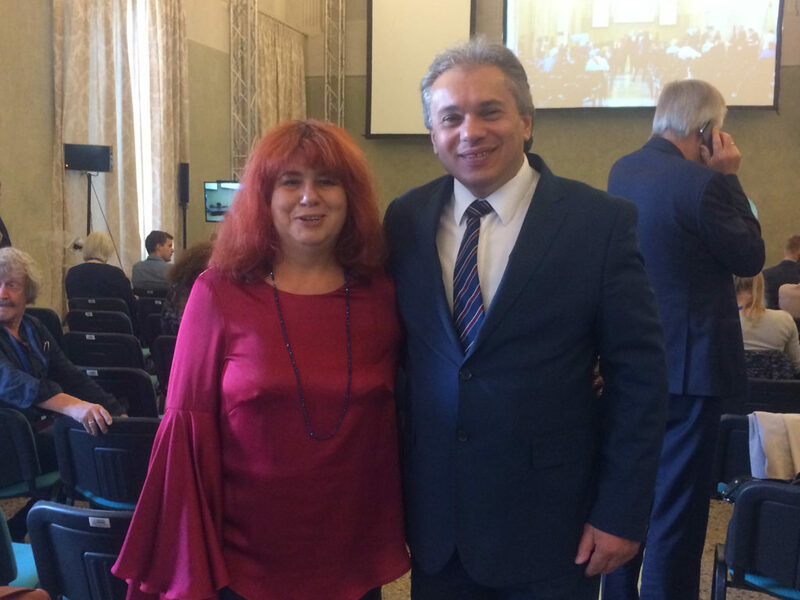 The President, Governing Board, EPA on Cultural Routes, Council of Europe Alfredas Jomantas with the President of the European Historic Cafes Association, Vasilis Stathakis.